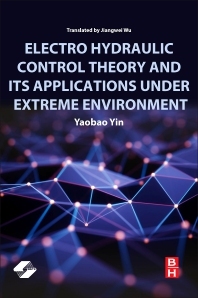 Electro hydraulic Control Theory and Its Applications under Extreme Environment not only presents an overview on the topic, but also delves into the fundamental mathematic models of electro hydraulic control and the application of key hydraulic components under extreme environments. The book contains chapters on hydraulic system design, including thermal analysis on hydraulic power systems in aircraft, power matching designs of hydraulic rudder, and flow matching control of asymmetric valves and cylinders. With additional coverage on new devices, experiments and application technologies, this book is an ideal reference on the research and development of significant equipment. Yin Yaobao, Dr.Eng., is a Professor in the School of Mechanical Engineering at Tongji University, as well as Vice Dean of the School, Vice Chairman of Shanghai Mechanical Engineering Society Fluid Power Transmission and Control Committee, Committee Member of Chinese Mechanical Engineering Society Fluid Power Transmission and Control Committee, Director of Chinese Society of Vibration Engineering Mechanical Power Committee, Committee Member of Shanghai Society of Astronautics Automatic Control Committee, and Committee Member of Shanghai Society of Astronautics Launcher Committee. His research areas include: Fluid power transmission and control theory under extreme environment; Servo mechanism and power unit of aircraft; High speed hydraulic and pneumatic servo system, servo valve; Future energy and power control, Ocean wave energy converter.